At Pedigree® we’re passionate about great nutrition to keep your dog happy and healthy. This recipe has been specifically formulated with white meat and maize, made without red meat, soya, eggs and dairy, for sensitive dogs to digest. 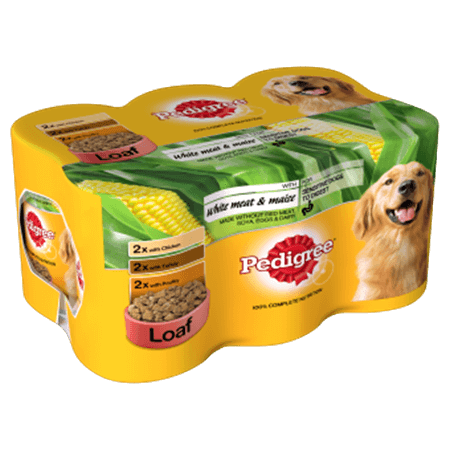 Pedigree Tins White Meat and Maize in Loaf is rated 5.0 out of 5 by 2. Allow for a transition phase when switching diet.